What are Cam Locks? The fast and simple answer is a small lock that has a “Locking Cam” attached to the back. 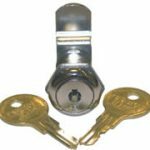 These locks come in a variety of sizes, shapes and configurations and prices from about $.80 for a small mechanical cam lock to $150.00 for an electronic cam lock. Where have you seen or used a cam lock: tool boxes, mail boxes, vehicle glove compartments, vending machines, slot machines, desks, cabinets and lockers, to name a few. That’s a lot of information in a few sentences. Let me explain this a little further. The Locking Cam on the rear of the cam lock is usually made of steel and can be straight, offset or hook. It can really have any design so that when the key is inserted into the lock and turned the locking cam will lock or unlock whatever it’s mounted on. As you can see, the cam lock is probably one of the most versatile locks ever made. Over the years, the designs have changed and evolved, the materials have improved and the security has increased. One thing has remained the same; all cam locks operate a locking cam: this is the definition of a cam lock. The Cam Lock really is the Lock you use every day. Generally speaking Commercial Locks are purchased from service centers such as Locking Systems International. This is because of the higher cost of the locks, the additional keying requirements that might be needed and installation services. Now that you know where to get them what is the difference between residential and commercial locks? These are just some of the differences there is almost a dozen that grade sawing resistance, different impact tests, force to latch door and others. The important thing to remember is that all locks are not created equal. 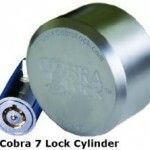 You will also find more high security lock cylinders used in commercial applications. Most of these lock cylinders will be protected by U.S. patents. This usually means that the cylinder is built to very high standards and they have very high key control. Keys are registered to a particular company and identification is needed to cut additional keys. Key blanks are available at authorized service centers such as Locking Systems International. The master keying abilities are also increased with the ability to have multiple levels of a master system. For example each floor of a commercial building could have its own master key with all the doors on that floor keyed different. The master key will open all the doors on that floor. There could be a grand master key that will open all the doors on every floor in the building. 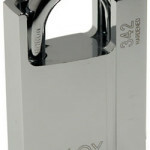 Locks for commercial applications should be grade 1 or at least a higher quality grade 2. These will stand up to the repeated use in commercial buildings and businesses. It is also important to choose the right service center, Locking Systems understands commercial locks and locking systems. 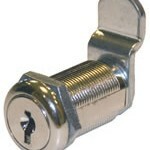 For additional information contact Locking Systems or go to LsiDepot.com. Wi-Fi door locks can be controlled by the internet. That statement is true but there is so much more. In this article I will explain what Wi-Fi door locks are and I will touch on other items in your house that can be controlled giving you a complete Wi-Fi house. The mechanical part of the lock must be made of high quality materials and should meet standard ANSI lock specifications. Most of these locks will be battery operated and may have a key override or at least some other way to gain entry in case of battery failure. You may see push buttons on the front of the lock which is becoming a standard feature. Many Wi-Fi Door Locks look like regular door locks and the mechanical part of the locks will operate the same. The lock has a small computer and Wi-Fi chip that will communicate through your house Wi-Fi. The setup is usually done through a laptop, tablet or desktop computer. Entry codes are set up so that everyone in the house has their own code. Temporary codes can also be issued, for example, to service people, a friend or relative. They can be set up to expire in a certain amount of time. Reporting and logging the entry and exits are also available. It can log the time, date and what person opened the door. If you are not home you can still communicate with the lock through its Wi-Fi connection. For example, someone you know might need to get into your house and you are not there. They will call you on your cell; you will then send a temporary code to the lock. The person at the front door will enter that code and gain entry. We are very quickly approaching the point where we will have the “Connected House”. Years ago the first home automation technology was called x10, it is still around today, however it is being replaced by Wi-Fi technology and in some cases a combination of x10 and Wi-Fi. 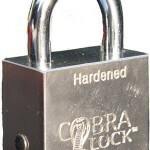 Not all locks are created equal and that holds true for CobraLock Padlocks. You can purchase padlocks from $1.50 all the way up to $150.00 per padlock. So what is the difference? In the example above the padlocks will range from mechanical to electronic and from small to large padlocks. There are many other considerations when choosing a padlock such as; what is the padlock size, how large is the shackle, what material is the padlock body and shackle made of, and what type of lock cylinder does the padlock have. The first three concern the physical security of the padlock. The last item, the lock cylinder, is one of the most important yet one of the most overlooked. If the lock cylinder is not secure it could be subject to picking, pulling or other forms of attack. CobraLock has come up with a very unique and patented padlock that allows the user to choose their level of security. This was accomplished by manufacturing a padlock body that accepts standard lock cylinders. As the security level of the lock cylinder increases so does the price of the padlock. 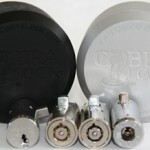 Some of the lock cylinders that the CobraLock Padlock accepts are Cobra7, CobraMatic7, Abloy and Medeco Lock Cylinders. All of these are protected by U.S. Patents and when combined with the CobraLock Padlock the complete Padlock becomes patented. Where will the padlock be used (the shed in your backyard or the back of a delivery truck)? What will the padlock secure (lawn equipment or a truck full of electronics)? Will the padlock be indoors or outdoors? Type of “Key Control” that you require? Where will the padlock be used (indoors or outdoors)? What size should the padlock be? What should the padlock body and shackle be made of? What size (length and diameter) should the shackle be? What type of lock cylinder should be used? When you walk into the “Big Box Stores” to purchase a padlock you will be given a wide choice of different size padlocks. You will be able to go through the list above and find a padlock to meet your needs, that is everything except the most important, the lock cylinder. 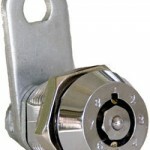 You will have a limited choice of different key codes (lock cylinders) to choose. There is a very good chance that many people will have the same key to open the brand new padlock you just purchased. So remember, when purchasing a padlock, think about the lock cylinder, without YOU controlling the key codes you can’t control your security. The CobraLock Padlocks provide a unique way for you to control your security. For additional information about CobraLock Padlocks contact Locking Systems International. With high security locks, the key code is registered to you and that information is put into a database program that tracks your codes. The key code is usually blind, this means that by looking at the code you cannot get information on how the lock is pinned or how to cut a duplicate key. The blind code is matched with a pinning code which has all the information. You can’t buy high security locks at hardware stores or big box stores. They are purchased at Locking Systems International, an approved service center. We will sell you the hardware and then register the lock code to you. 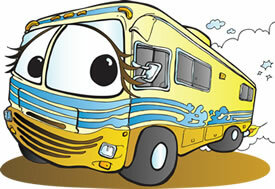 We will also provide you with the secure lock code and a way for you to use it if necessary. We will also secure that code into a database where it will not be assigned to anyone else. For additional information contact us at Locking Systems International or our store LsiDepot. 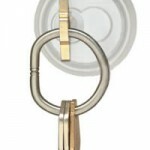 Lockable Key Rings secure your keys on either a flexible or solid ring. The ring is locked by a standard type cam lock in an aluminum housing. The main reason that you use this type of device is Key Control. I have discussed key control in past blogs; without some type of key control you do not have a secure lock. Key control is the most important part of a locking system; however, it is often the most overlooked. Keys are put on the lockable key ring and it is locked preventing removal of the keys unless the lock is opened. To remove the keys, the key ring lock needs to be opened by authorized personnel with the proper key. All the keys are held together and cannot be taken off the key ring. This provides key control as someone can’t “lose” one key. If the cable is cut that would indicate possible compromise of any locks that those keys open. 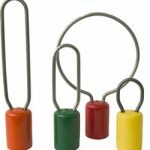 The rings come in either flexible stainless steel cable available in 4 different sizes: 6,8,12 and 18 inch or solid stainless cable in 5 different sizes: 1.5,2.5,3,4 and 5 inch. 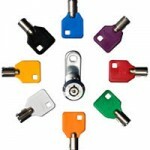 The lock body is made of aluminum that is covered with a protective polyurethane boot available in 15 different colors. There is also of choice of locks. There are a number of locks available to lock the key ring. The choice of the lock will be dependent on what the keys are securing and the value. The locks available are from medium security to high security. They can be keyed alike, keyed different or master keyed. It is advisable to key these locks all different or in some cases master keyed. So, where would lockable key rings be used? Anywhere keys must be controlled. I will list a few examples of where these are used today. As you can see from the above list, they can be used anywhere that needs a tamper evident key control system to restrict access and prevent unauthorized key removal. To find out more go to LsiDepot.com or call 800.657.5625. Utility Locks should be very familiar to us, these are locks that are used every day. Some examples of Utility Locks are cabinet locks, locker locks, tool box locks, storage locks and mailbox locks. These are just a few examples to get you thinking about the uses for these types of locks. One of the biggest examples is the single bitted or SB Cobra locks. These are very inexpensive to manufacture and sell from $2.50 to $3.50 per lock. The basic design of the SB Utility Lock is a cam lock. However this type of lock can be made into different designs such as cabinet, display case or locker locks. 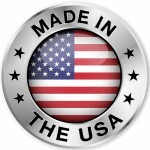 They can also be incorporated directly into many other types of devices made by any manufacturer. An example of this is the “paddle handle” found on the storage (basement) doors on RV’s. The lock is incorporated into the handle itself. Not all cabinet, locker or storage locks are utility locks. They might have been upgraded to a higher security such as a push button or electronic lock. Most times the actual item will be sold with a traditional mechanical utility lock. 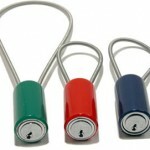 The end user then will decide if this is enough security, if not most items can be upgraded to a higher security lock. As stated earlier cam and utility locks are often used to describe the same lock. This is not accurate as cam locks are a complete lock category to themselves. They have many different designs and security levels all the way to electronic cam locks. Cam locks can be used as utility locks, however some utility locks cannot be used in the place of a cam lock. I think that in the security industry you will find many different terms that mean the same thing. I don’t think that this is meant to confuse the consumer, but it is an industry that has gone through many different versions of the same lock, sometimes identifying them by different names. In many instances this is done for marketing purposes to show a new lock (that looks like the older lock) is better, more secure or for some other reason. To find out more about these Locks contact Locking Systems International. Not all padlocks function well in bad weather, think freezing temperatures, or salt air and water. As the weather turns very extreme most “off the shelf” padlocks will fail to open or function properly. So, is the solution to purchase very expensive padlocks? The simple answer is no; however, Extreme Weather Padlocks that are designed to operate in extreme conditions tend to be priced higher than standard off the shelf padlocks. Most padlocks operate by the key pushing the locking pins in an upward direction until they reach the “Sheer” line and the lock opens. Springs provide a downward force on the pins. This means of operation is fine for most normal weather conditions; however, when it turns extreme, the pins and springs can freeze or get dirt or other debris in the pin chambers. When this happens the padlock jams and will no longer function. This is when you see people heating their locks with a torch or squirting a solvent in the lock cylinder in an attempt to clean it out. Extreme Weather Padlocks do not have locking pins or springs. They operate on a “disc rotating principle”. The locking pins are replaced by discs; no springs are used or needed. When the special key is inserted into the lock and turned the discs rotate to the open position determined by the cuts in the key. These locks do not have individual pin cylinders; instead all of the discs are positioned on a sleeve. This is the reason why extreme weather conditions do not have the same effect of these padlocks as they do on regular padlocks. Most Extreme Weather Padlocks have keyways that are protected by a patent. This is so the keys can be controlled and sent to Locking Systems International to be cut and controlled to the end user. These Extreme Weather Padlocks are referred to as “high or maximum security padlocks”. They are not available from the big box stores and are only available from Locking Systems International who is under contract with the manufacturer. As stated above, they cost more than standard padlocks, but in return you get a high quality padlock. For additional information please contact us at 1.800.657.LOCK (5625) or LockingSystems.com.